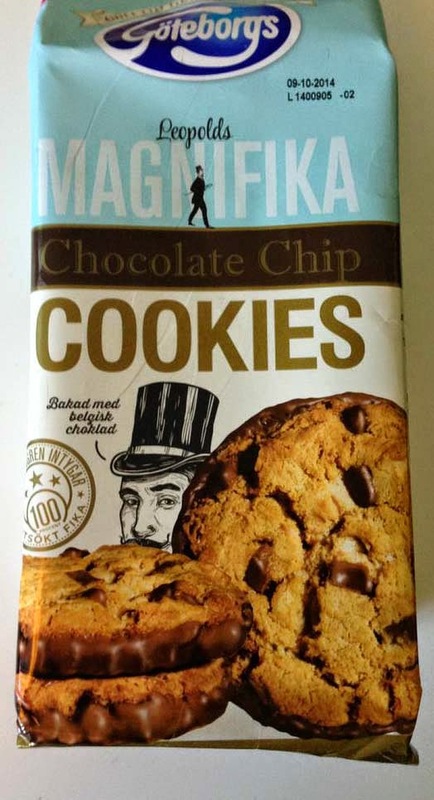 Leopolds Magnifika Chocolate Chip Cookies is a new variety of (big) chocolate chip cookies dipped in milk chocolate. They're produced by Sweden's largest cookie manufacturer, Göteborgs Kex, and the name Leopold is after the company's founder. He was Belgian so according to the package the chocolate is also from Belgium. Magnifika meaning magnificent in English has in this context probarbly a double meaning because of the Swedish word for coffee break, fika. 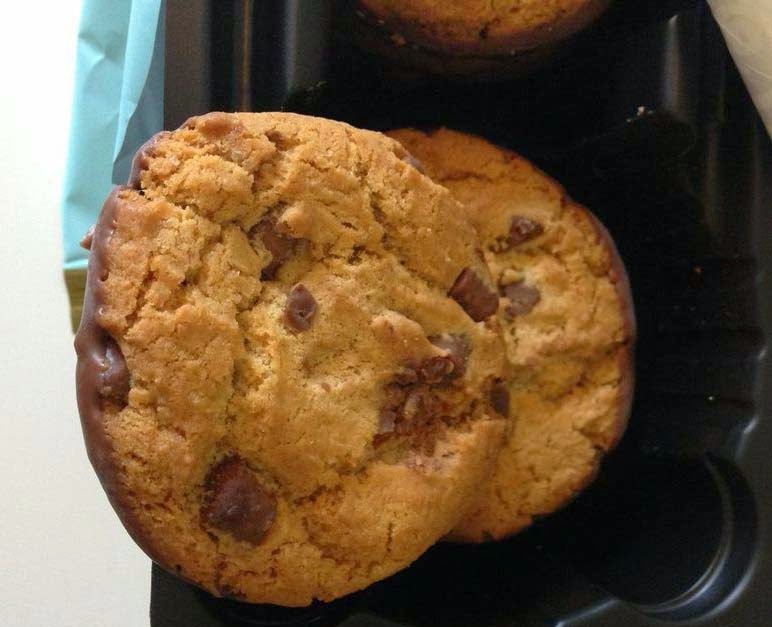 The cookie has big chunks of chocolate chip in them and they're both chewy and firm at the same time. Also the chocolate rim elevate the cookie even higher (also good to dip in tea/coffee). These chocolate chip cookies is hands down the best I've tasted apart from the American Keebler Chocolate Chips. There are 8 cookies per package (200 g) and they also comes in a mini cookie variety and a blueberry and chocolate chip variety.